Hope you are well. I thought I should introduce myself, lion to lion. 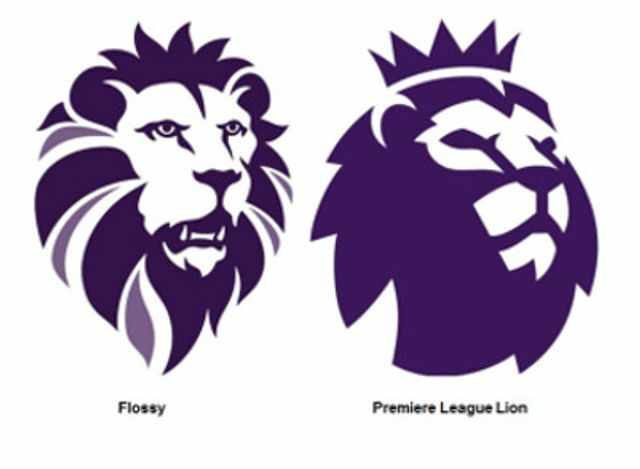 I am the Premier League Lion. I was born in January 2016. Unlike you, I evolved from another lion icon rather than the £ sign. My folks protected me by registering me as an EU and UK trade mark in 19 classes. You don’t appear to have tried to get protection yet. I have a feeling that my people will probably challenge yours if they do. It must have been unsettling for you to have to deal with the furore over your arrival. Not surprising though. Of all the lion looks your people could have gone for, they decided for a look very similar to mine. Like me, you are a lion head facing to the right, with the same white face and shading around the eyes, mouth, nose bridge and tip. Your mane also looks like mine especially the bit at the top of your head which is like my five pointed crown. And you are also purple in colour! I like being unique. A lot of time and money has gone into creating and making me distinctive. My creator, DesignStudio, did about 600 iterations before coming up with me as I am now, “warm, human, approachable and informal”. Your chap, Paul Oakden, said that he “doesn’t mind UKIP being associated with the Premier League”. Hmmh, he is going to wish that he hadn’t said that. I am pretty sure that my people do not want to be associated with the "Brexit party" or for that matter any other political party or organisation. The whole point of being a brand is to be able to differentiate one from another, especially from those who stand for very different things. It is interesting that UKIP does not mind being associated with the Premier League? Could it be because the Premier League is the most watched football league in the world and generates the most revenue? It is ironic that UKIP does not mind the association given the fact that the majority of the players in the top division of the Premier League are foreigners. I guess the suggested points based system to reduce net migration into the UK to zero will need to factor in the entry of Premier League footballers. If your people do hear from my people, they will have to decide whether you are worth a fight with the Premier League for copyright and trade mark infringement. Some would say that your creator copied a substantial part of me and therefore infringed Premier League’s copyright. Then there are my trade marks - they include class 36 for “charity fund raising” and class 41 for “arranging and conducting conferences, congresses and seminars”, activities which you are also involved in. There are two types of trade mark infringement they could go for. First, there is infringement if we are found to be similar and used in relation to similar services, which results in a likelihood of confusion on the part of the public. If this doesn’t work, the other type of infringement is if we are found to be similar, and I have a reputation in the UK and your use, being without due cause, takes unfair advantage of, or is detrimental to, my distinctive character or repute. They may have a good shot with this one. I don’t think they may bother with passing off as it may be tricky to show actionable misrepresentation. The prudent course for your folks may be to retire you and change to the other UKIP logo that was put forward at the party conference. By the way, who decided to name you “Flossy”? *Disclaimer - This is the author’s personal view. Neither the author nor the firm acts for the Premier League. The Party Chairman, Paul Oakden, told BBC's Daily Politics show: "I don't mind Ukip being associated with the Premier League". One in a million? No, you're only one in five. Are robots writing your will? Whenever, Wherever... no Shakira, you need to keep track.